Radio host and actress Patrcia Kihoro has landed a new TV job on Standard Group’s KTN TV. The actress, who is also a presenter at Homeboyz Radio, is set to host a new show every Friday during the Friday Briefing segment alongside Victor Ocharo popularly known as MC Victor. 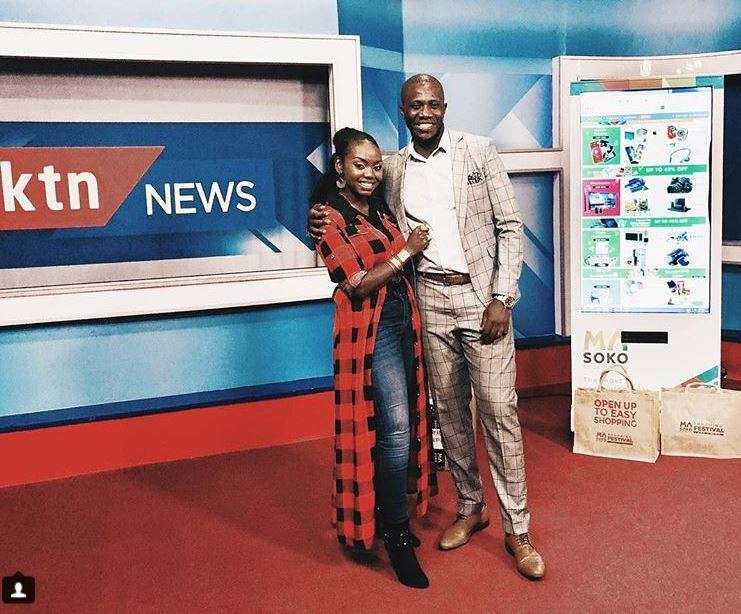 Not much about the show is out but on social media, Kihoro said that she had been initially informed by KTN to report for an interview but once there she was surprised by the offer. The two will be promoting online shop Masoko. “Last night, I got casually dressed, jumped on a boda boda and headed to KTN Kenya for what I thought would be a quick, ten minute interview. Yo! Turns out @mcvictor_ and I will be hosting a small, brand new segment every Friday on The Friday Briefing, talking about @masokoke and the ongoing #MasokoShoppingFestival that’s running till January! Quite the surprise. Turns out the sheer terror I felt wasn’t visible on my face and I didn’t choke. We thank God.” Wrote Kihoro.